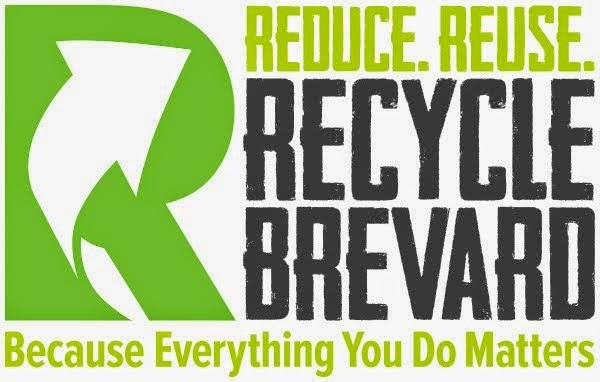 Recycle Brevard, Inc. is an independent 501(c)3 Florida non-profit organization, 100% funded by sponsorships and donations, 100% run by volunteers. Brevard County Solid Wast Department has a list posted on their website of what can be placed in the recycling carts. If you are not sure, check it out. Notice that the list includes now plastic yogurt containers and butter tubs instead of only plastic bottles. This is a step forward in recycling more types of plastic that were normally disposed of in the regular garbage. We want your WINE CORKS! Pledge: A simple step that shows your commitment. Hi! My name is Marcia Booth. I am a mom of one and step-mom of two who lives in Brevard County and is concerned about the use of our natural resources and the effects of that on our environment in general. Our family embraces recycling and other kinds of conservation. We enjoy, appreciate, and respect nature. We understand that everything in this universe is connected and we need to take care of our world, starting at our home and our community. I believe in our community and in the power of different people working together toward a common goal. My hope is that this initiative helps in the journey of making the world a more sustainable place for us all to live in. Since there's no better time to start than now, let's take this journey together and make it happen! Do your share to show you care. Because everything you do matters.